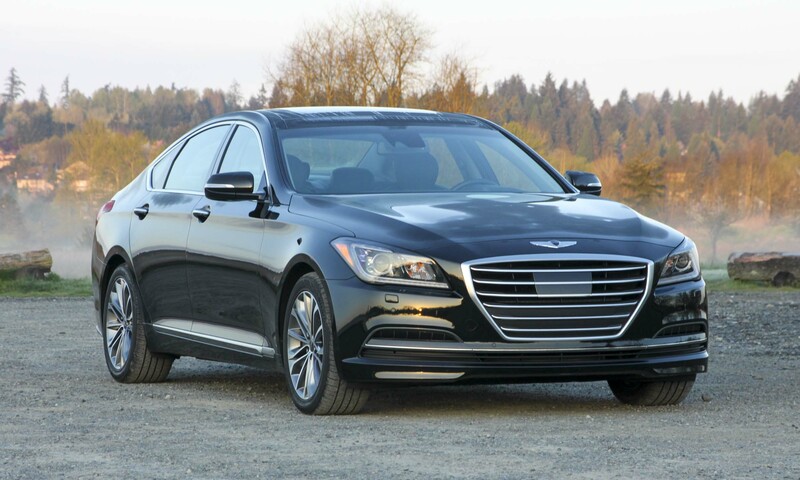 The Genesis was Hyundai’s first foray into the luxury car market, and with its redesign last year it can clearly hold its own in a competitive segment that includes such heavy hitters as the BMW 5 Series and Mercedes-Benz E-Class. 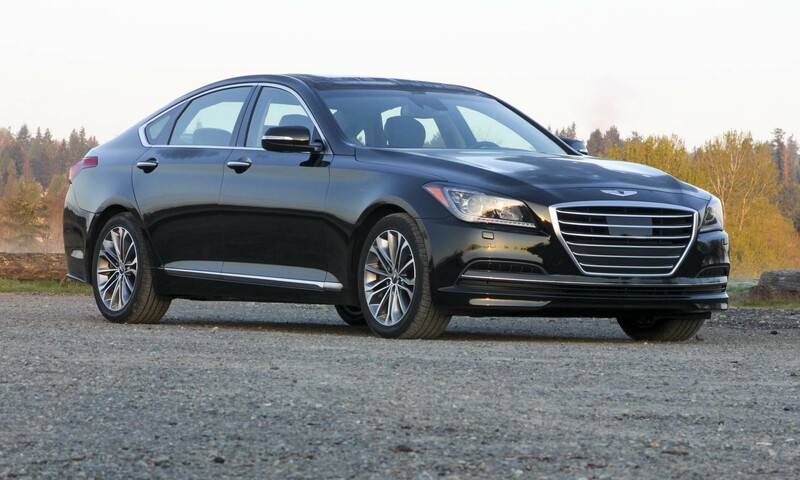 Our test car was the 2015 Hyundai Genesis 3.8 HTRAC with a retail price as equipped of $52,450. 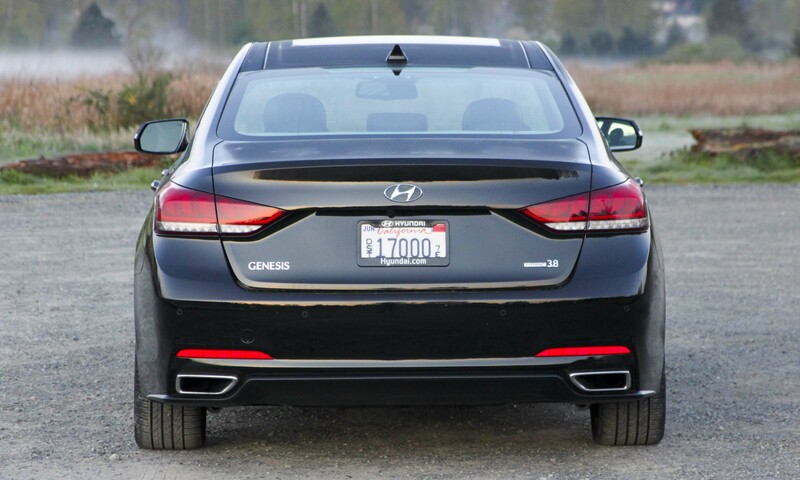 The most recent redesign of the Genesis included a large grille with flush headlights. 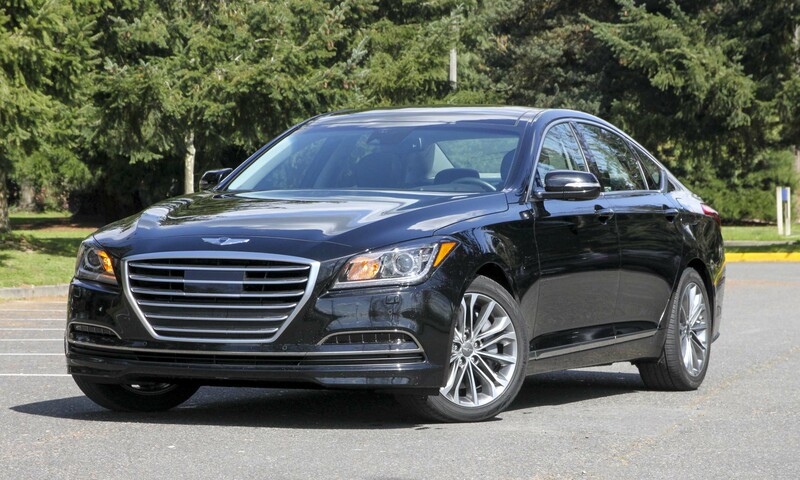 An attractive silhouette gives the big sedan a premium look — especially in Caspian Black. 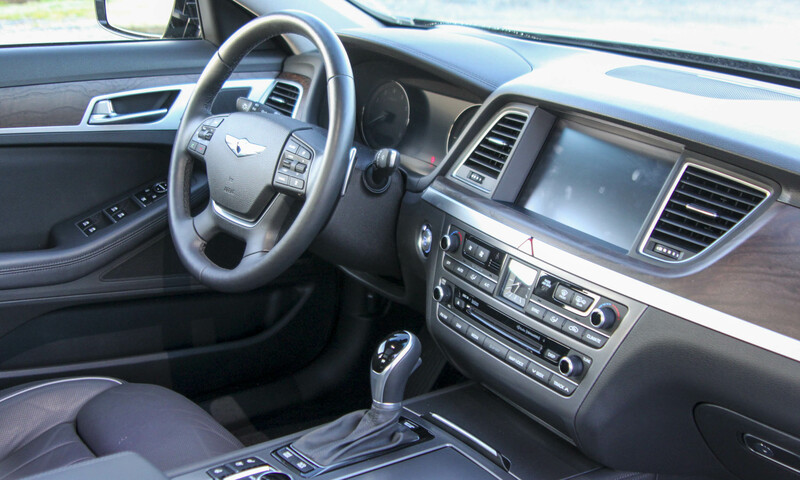 The interior is replete with everything you’d expect in a luxury car in terms of comfort and technology. The matte-finish wood trim adds a high level of elegance. Front seats don’t have the ultra-soft leather you might find in a Mercedes, but they still exude high quality. 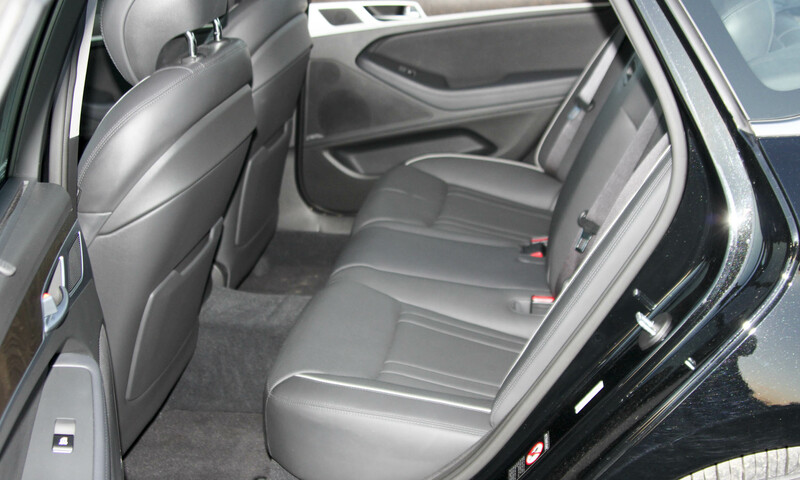 With multiple power adjustments, seats are quite comfortable and would be excellent for an extended trip. 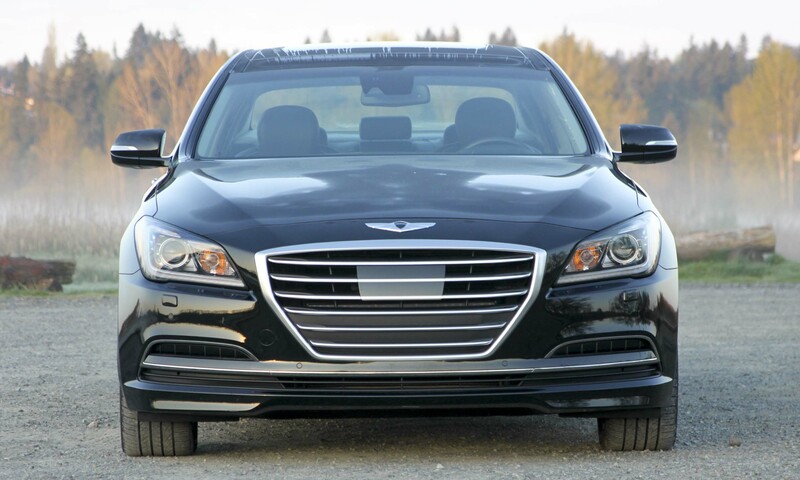 Front seats are heated and cooled — Genesis even has a heated steering wheel. 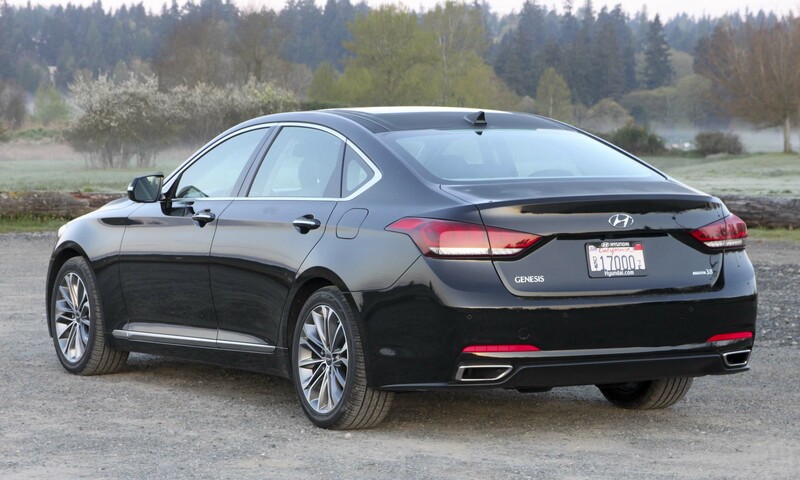 Rear-seat passengers get plenty of legroom, and the space would easily fit three adults if necessary. 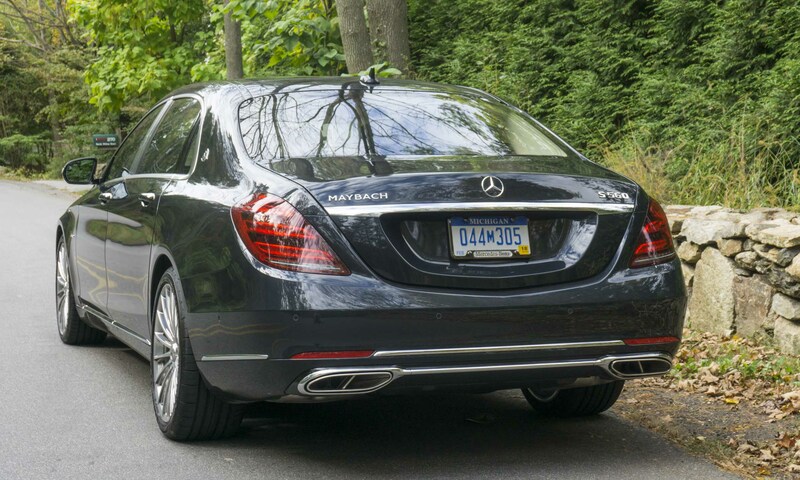 The trunk isn’t as spacious as you’d expect, but still offers room for multiple large pieces of luggage. 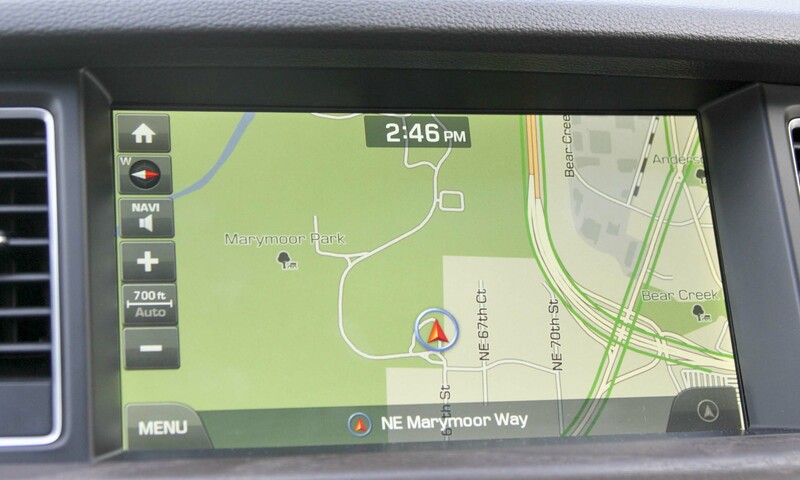 Our test car was equipped with the “Ultimate Package,” which —among other things — provides a beautiful 9.2-inch HD touchscreen display. 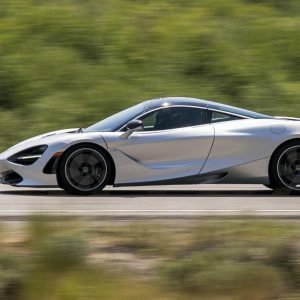 Controls are intuitive, and there is considerable redundancy: buttons on the dashboard, center console and touchscreen that do the same thing — which is actually a good thing, since it’s much easier to find what you’re looking for. Connecting my smartphone via Bluetooth took just a few seconds which opens up a variety of features. My favorite was Pandora – using the Pandora app on my phone, the music information and controls appear in the center display rather than on my phone. XM Satellite data is also available, showing weather forecasts and alerts as well as traffic and gas price information. Of course there is hands-free calling and voice activation, which work well. 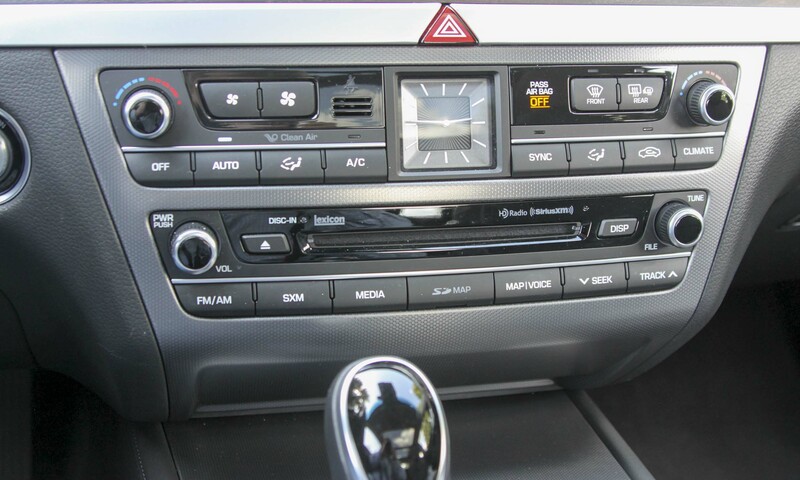 It’s easy to get caught up with all the electronics, but clicks and downloads aside, the Genesis is nice car to drive. 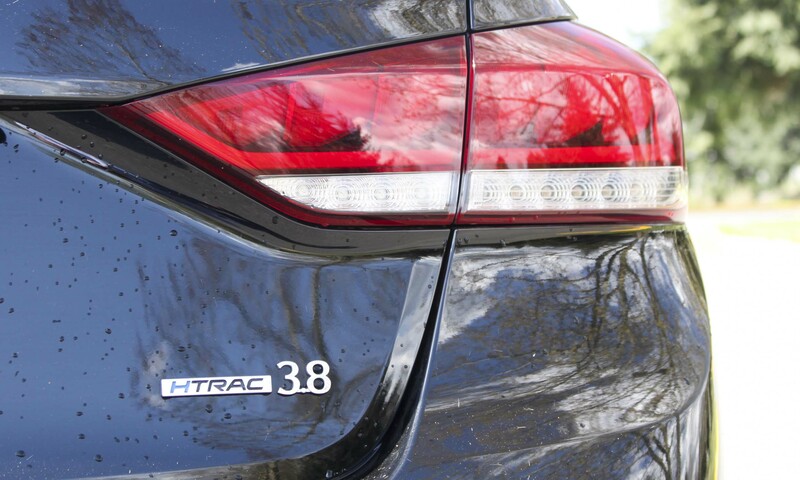 For a tester, we had the 3.8 with the HTRAC all-wheel-drive system. 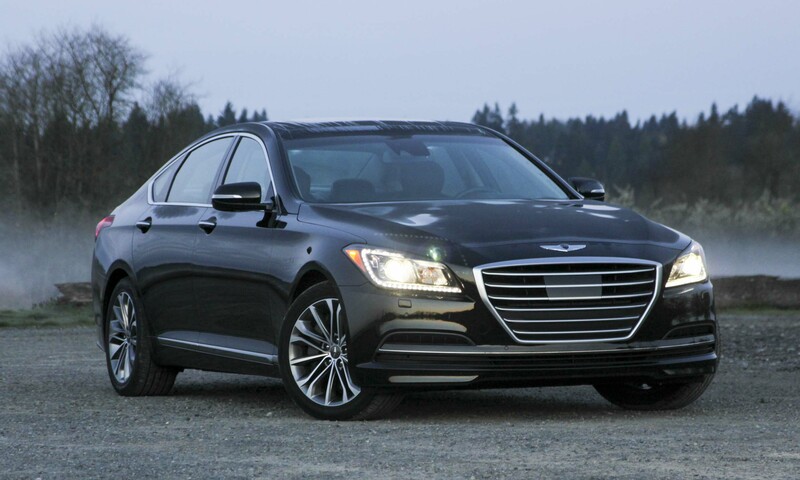 The 3.8-liter V6 puts out 311 horsepower and is teamed with a very smooth 8-speed automatic transmission. 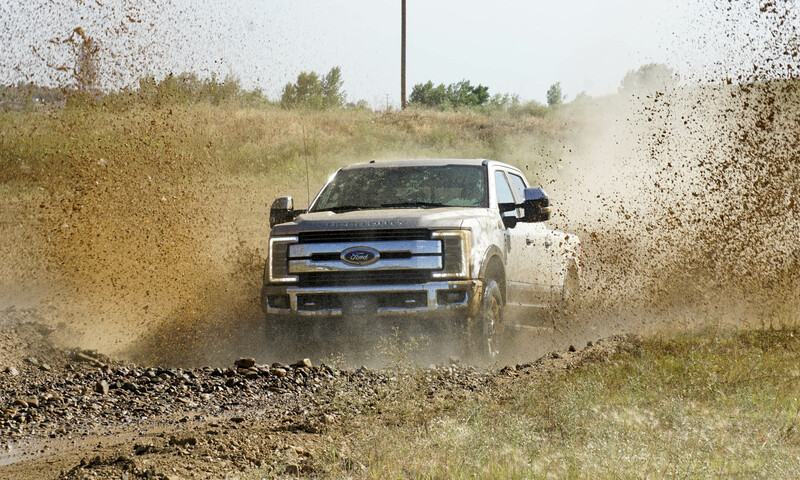 While there is a 420-horsepower V8 available, for most situations the V6 provides more than adequate oomph. 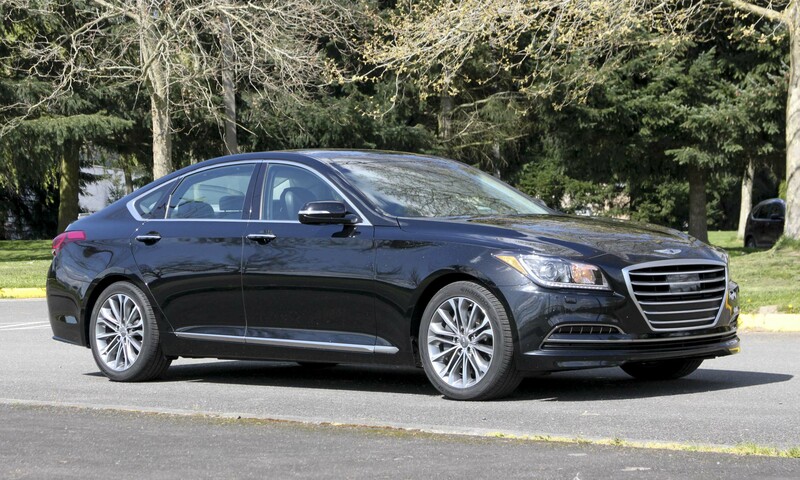 Genesis handles pretty well for a large luxury sedan. In fast corners it grips well with very little body lean — some may even think it is a bit too stiff, but we never felt it to be uncomfortable. Acceleration from a stop is quite quick; however, under full throttle the transmission has to shift often to keep the power coming. 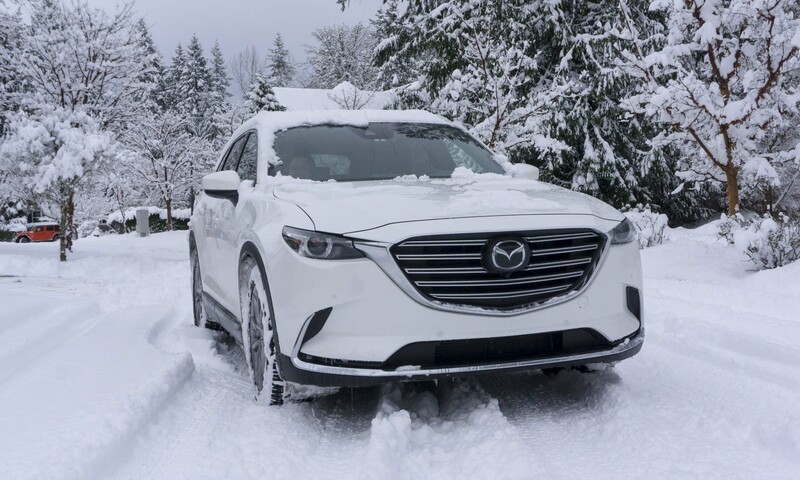 Our rear-seat passenger complained about the lack of seat heaters — an option available on the AWD trim, but not on our test car. 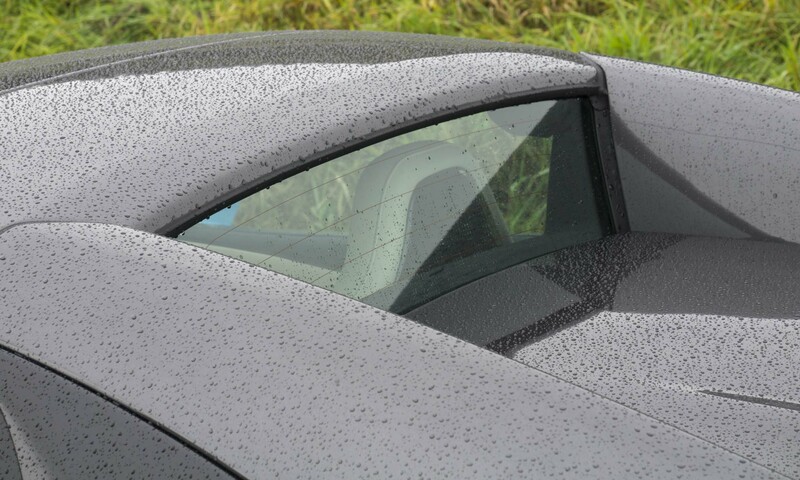 More first-world problems: the innovative head-up display is great unless you happen to be wearing polarized sunglasses, which makes the display completely disappear. Fuel economy could be a bit better. The combined EPA rating is 19 mpg which is close to what we saw in a mix of city and highway driving. The V6 would be a bit more efficient. 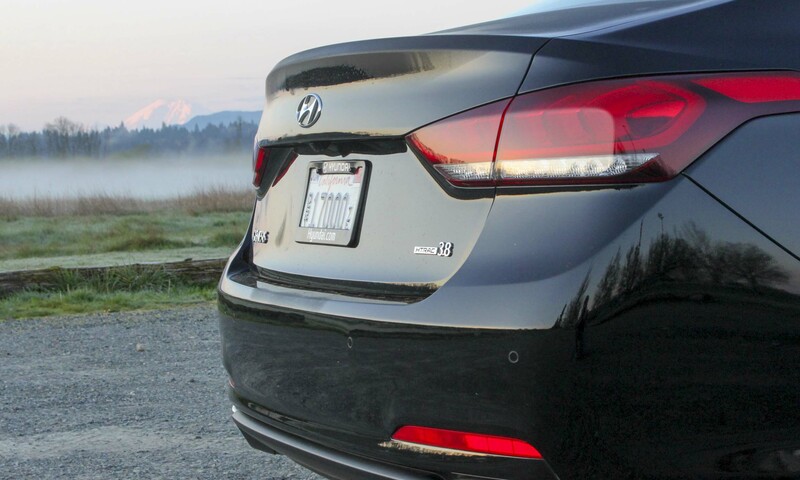 One of our favorite features involves the trunk, of all things. When the car is locked, to open the trunk all you have to do is walk up to it with the key fob in your pocket and it opens automatically. 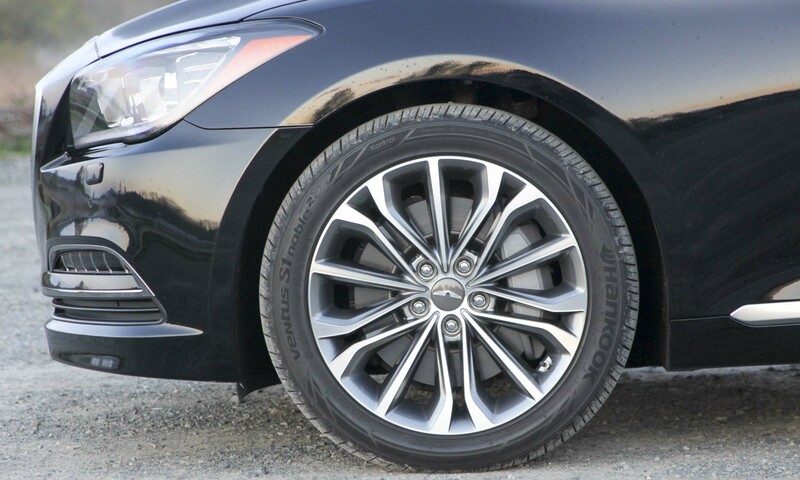 An extremely useful tool when your hands are full — and you don’t even have to wiggle your foot under the rear bumper. 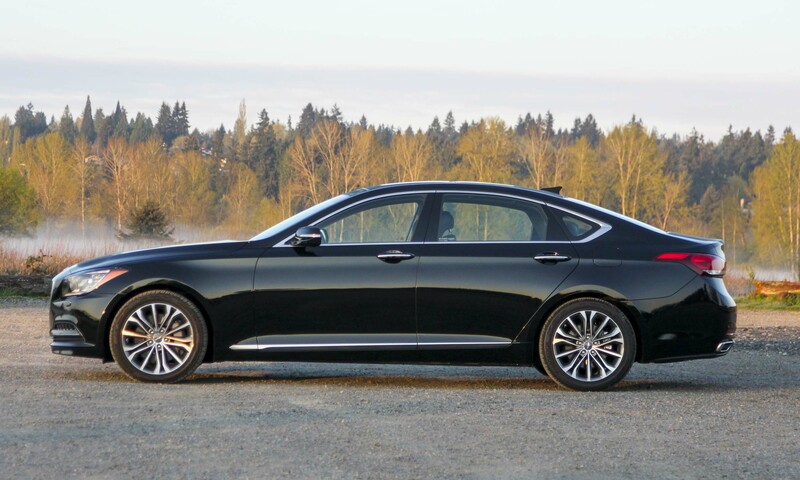 Overall the Genesis makes an excellent choice for someone who wants to get a full-featured attractive luxury sedan but doesn’t feel the need to pay a premium for a specific brand. 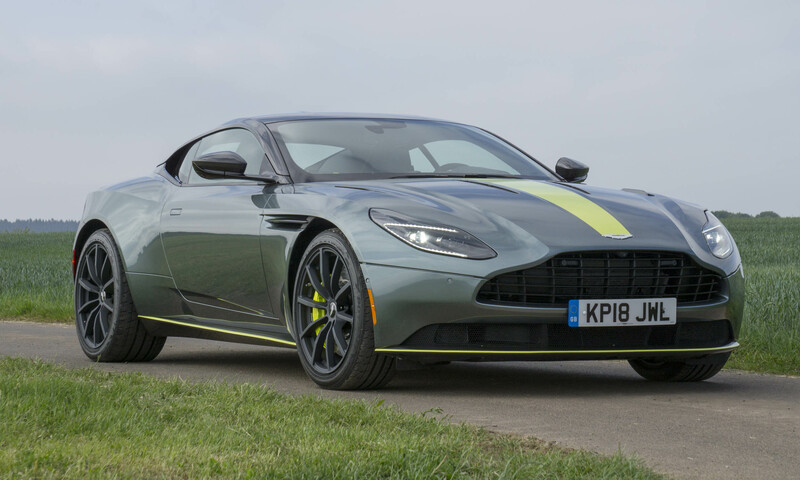 Our test car was fully loaded and came in around $52,000. 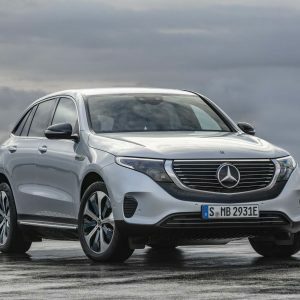 Compared to the AWD offerings from Mercedes-Benz, BMW and Lexus, the Hyundai runs $10,000 ‒ 15,000 less with more power and features than these well-known competitors. 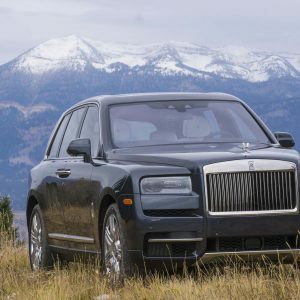 Certainly worth consideration if you’re in the luxe car market. hello, i saw hyundai profile and i like that because i have two hyundai ix35 in south africa and i love it, its a real nice and comfortable vehicle.